Instead of dreading the European General Data Protection Regulation (GDPR) coming into effect on May 2018, brands can use it to strengthen customer relationships. 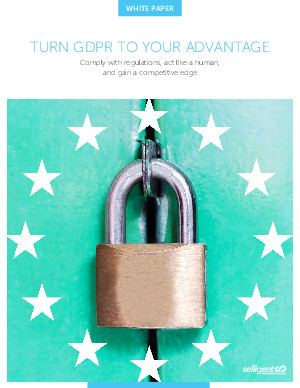 With its built-in accountability principle, the GDPR presents an opportunity to win customers’ trust – and outperform the competition – by creating transparent data collection policies. Find out how you can take advantage of the opportunity to become more "human" in collecting data with this white paper.